NGO Banana Link warns that the current political crisis in south west Cameroon has led to 11 banana plantations belonging to state-owned company Cameroon Development Corporation (CDC) having to close because of insecurity in the region, while two packhouses have also been burned down. Up to 10,000 banana worker jobs are under imminent threat in a situation that appears to be spiralling out of control, Banana Link said in a report. 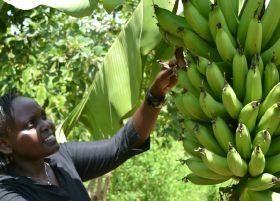 Banana Link's union partners, FAWU, told the NGO that workers have not been paid for three months, threatening a serious humanitarian crisis to add to the security risk that has developed over the last two years. When schools reopened this month, separatist forces warned that children’s safety could not be guaranteed, Banana Link said. In response, Banana Link said it wrote to the UK government seeking its help to mediate the crisis in the UK Commonwealth country. It has not yet received a reply, the group said.